I don’t have a website; can I still use RumbleTalk group chat? 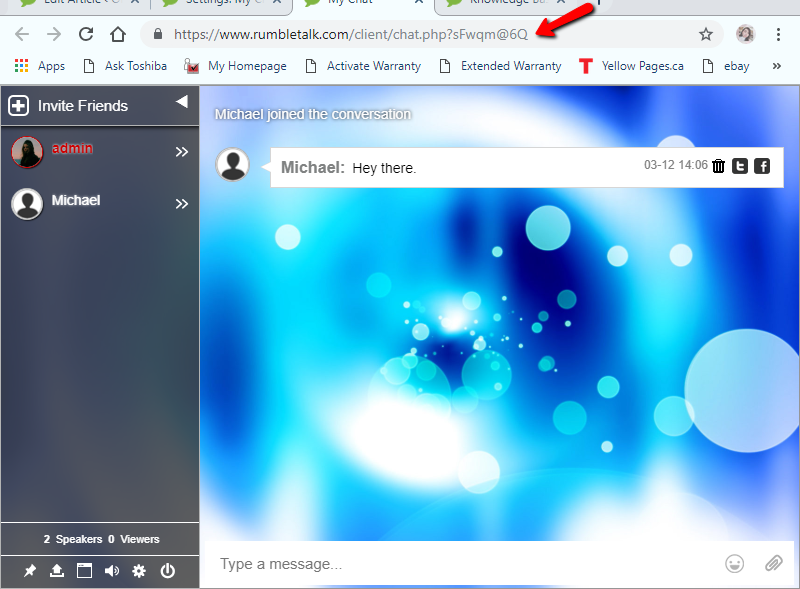 We host the group chat room on our servers so you and your customers can access it without embedding within a webpage. You’ll be provided with a URL that can be sent to whomever you’d like to participate in the conversation. The group chat still works the same as if you were going to embed it in a website or add it to a Facebook page, meaning you can still customize all the same settings. Previous postHow can I embed a floating chat on my website footer? Next postCan I use RumbleTalk in my Facebook page?